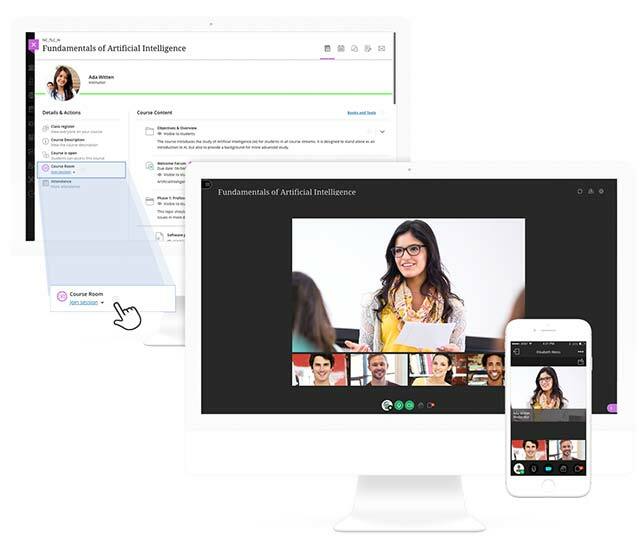 At the BbWorld conference taking place this week in Orlando, FL Blackboard today introduced a new version of CourseSites, a free platform for individual instructors to deliver e-learning. According to Blackboard, the updated cloud-based platform "will provide both learners and educators with a more modern, intuitive and engaging user interface through Blackboard's Ultra experience. In addition, users will be able to access newer features faster with the platform delivered in the cloud." Those who register for CourseSites also gain access to Blackboard's virtual classroom tool, Collaborate, and Ally, an accessibility tool. CourseSites includes Web and mobile apps. "With the recent release of core features and functionality, and the momentum we're seeing in interest and adoption, the time was right to move our free offering to Blackboard Learn with the Ultra experience," said Jim Chalex, Blackboard vice president of teaching & learning, in a prepared statement. "With these enhancements to CourseSites, we're thrilled to allow even more instructors to take advantage of the latest and greatest technology from Blackboard." CourseSites is available free to individual instructors. Further information can be found at new.coursesites.com.